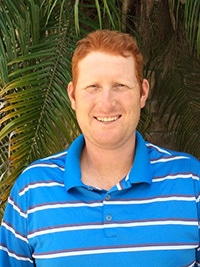 TW Tennis, LLC is owned and operated by Todd Widom and concentrates in private tennis coaching, massage, and bodywork. 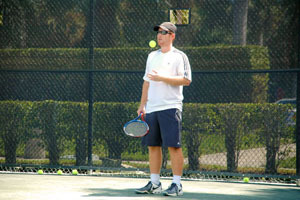 Todd Widom works privately with junior tennis players who strive to become collegiate or professional tennis players. Todd Widom is based in Broward County, Florida. TW Tennis is South Florida’s top small group/private tennis training geared exclusively for the high performance junior, collegiate or professional tennis player. Todd is the best coach I've come across if not one of the best coaches in the country. He was one of the best players in the world and brings his knowledge of the game and playing skills to his coaching. I have known Todd for many years and he is both a friend and a confidant. Todd is extremely professional both on and off the tennis court. His tennis knowledge surpasses most of the traditional tennis coaches' way of thinking and I would encourage any aspiring college or professional tennis player to work with Todd to reach their highest potential. Todd has provided unique insight into my game helping me reach a top 100 ranking on the ATP World Tour and I strongly believe he can do the same for you. Over the summer I worked with Todd to prepare me for SEC tennis at the University of Arkansas. We practiced twice a day, along with a group of very talented and hardworking players. The practices were very intense along with the fitness, and I left prepared and more than ready for collegiate tennis. I cannot begin to say enough positive things about Todd. I am the father of a high school senior who has trained with Todd full time for 2 years now. My son is a serious, nationally ranked player and Todd is perfect for any player with high goals. Todd understands how to structure a training program to specific to each different player and situation. Todd is perfectly in tune with the technical side, the physical side, and most importantly the mental side of tennis. The fact that Todd is still young, makes a perfect situation where the training is contemporary and the players relate so much to the coach. Todd has my son’s full attention and respect. Todd makes the training hard and challenging, but also fun. I wish I had come to Todd years before I did, after training with him for only a few months not only did I see a huge difference in my game but so did everyone else after I returned home. Todd is the ultimate professional who trains high quality players and is always willing to spend extra time with you on anything you need. Not only is he an expert in tennis coaching but is also a great fitness coach. Todd is the best coach I have worked with in my 13 years of playing tennis and I wish I had started working with him sooner. For ambitious junior players, Todd Widom provides a proven, yet unique approach for players to maximize their full potential. With his wealth of experience battling the highest levels of junior, college and professional tennis, combined with his comprehensive program for physical and mental development, Todd can personalize a plan that sets him apart from other programs. I see all the positive attributes he learned as a player being passed down to his students. As a player Todd was relentless with every aspect of his game. He was exceptionally routine-oriented and set himself apart from more talented players due to his work ethic, practice regimen and physical conditioning. With his expanded expertise in body work, massage therapy and biomechanics, he is uniquely qualified to offer a program that is much more personalized and focused than the vast majority in the industry.